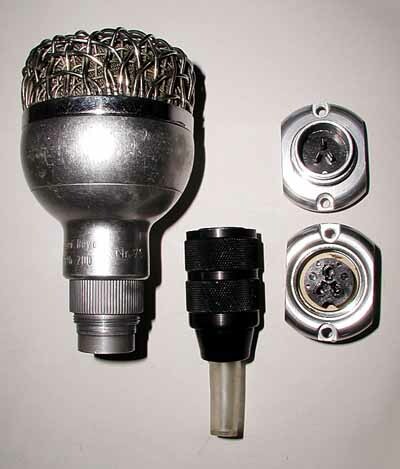 Microphones convert sound waves into electrical voltages. 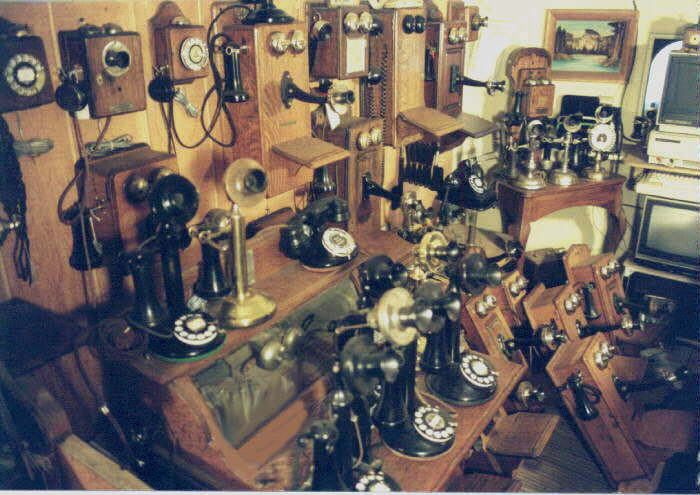 They were first used with early telephones and then radio transmitters and have evolved through a number of major changes to the high quality instruments of today. 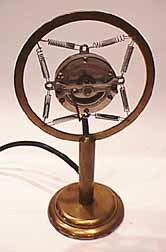 Collecting microphones can be very interesting and some representative microphones are included in this web page along with a reference to an excellent article on early microphones. 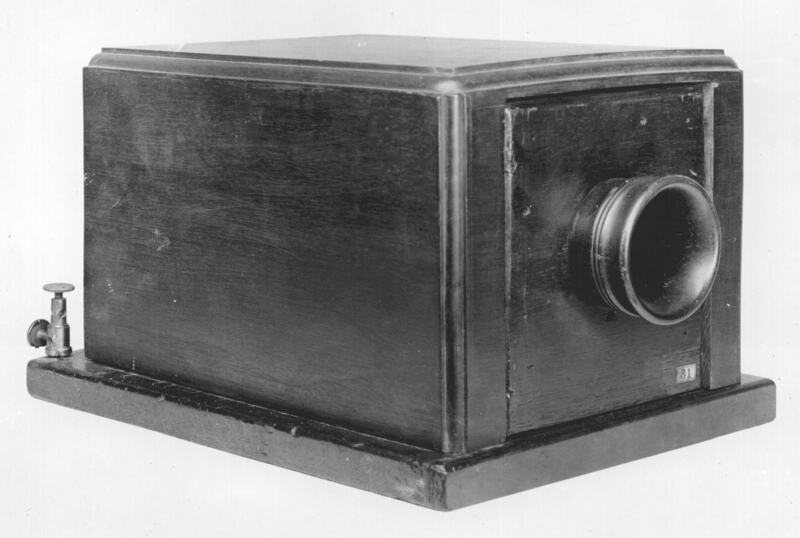 This is Bell's original liquid transmitter from a set of Bell Laboratories photographs in the Ron Christianson Telephone Collection. 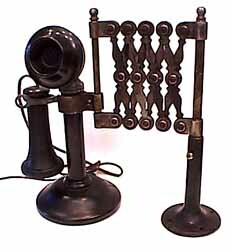 This reproduction is in the Ron Christianson Telephone Collection. 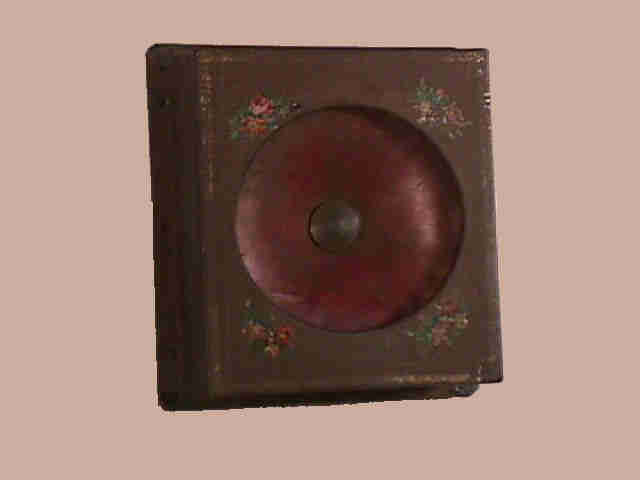 0022 Another reproduction, Dated 1876 on the base. 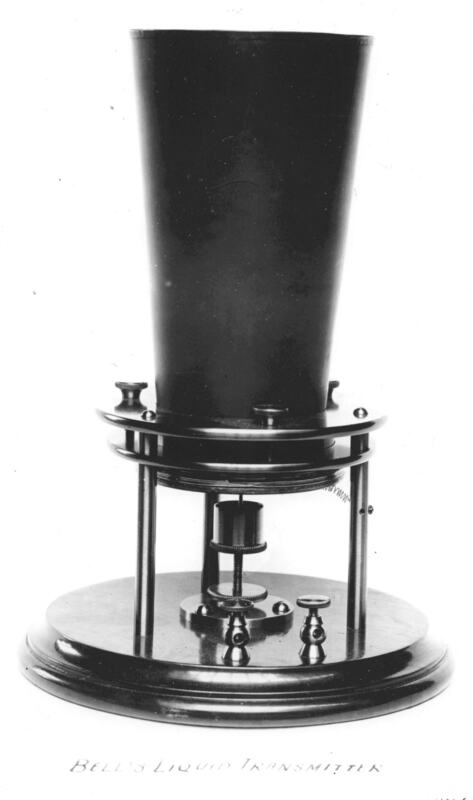 (37KB) Many reproductions of Bell's original Liquid Transmitter have been made. Since it is a simple design, it is very hard to tell the difference between the original and the reproductions as you can see from these photographs. These are all from a set of Bell Laboratories photographs in the Ron Christianson Telephone Collection. or telephone him at (541) 592-4123. 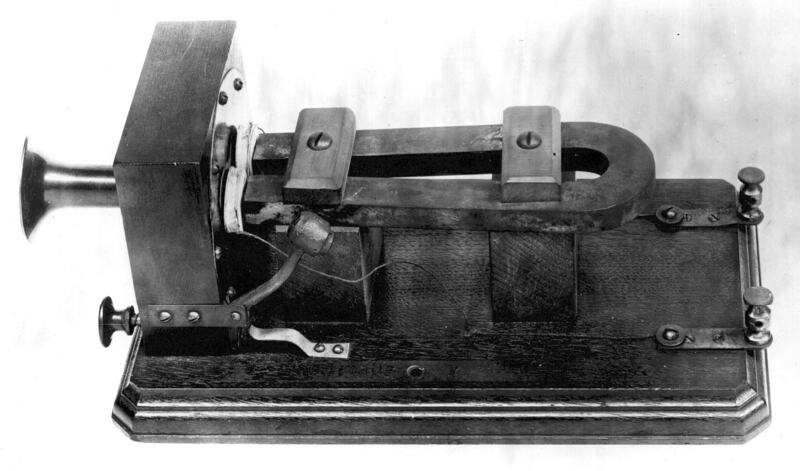 0040 EARLY RAILROAD DISPATCHER'S TELEPHONE/MICROPHONE ON SCISSORS MOUNT:(16KB)This telephone/microphone was mounted above a railroad dispatcher's desk so that it would not take up space needed by the telegraph apparatus. 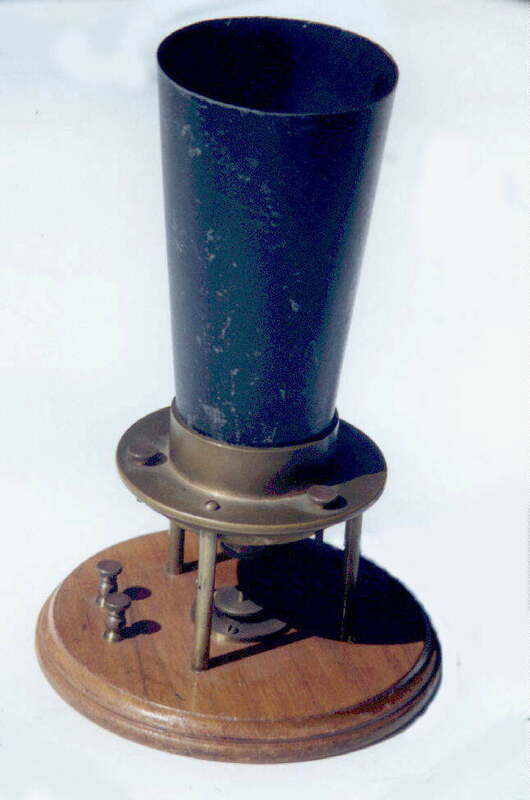 45 EXCEPTIONALLY EARLY GERMAN CARBON MICROPHONE WITH WOODEN DIAPHRAGM:(37KB)This is an extremely early, 19th century German carbon microphone. 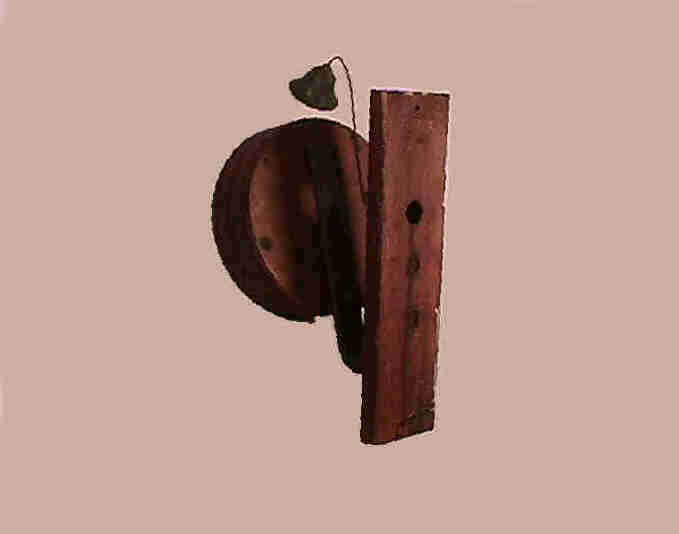 There are three carbon cylinders and the diaphragm is made of a very light, thin wood. The manufacturer is not known. 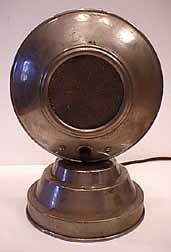 50 WESTERN ELECTRIC CARBON MICROPHONE Circa 1920s. 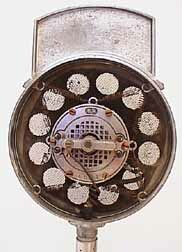 (27KB) Early microphones such as this were mounted in springs to isolate them from local vibration. 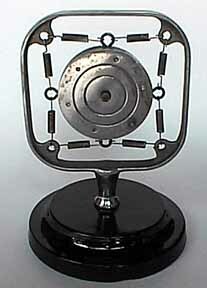 This microphone is mounted in a special stand which is similar in design to the stand used to support Western Electric loudspeakers. 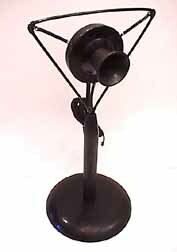 Unlike the loudspeaker stand, however, it has no holes through the rim and a few other details of the casting are different. 60 EARLY KELLOGG HAM RADIO STATION MICROPHONE:(6KB) This early hand-held carbon microphone was used in a 1920's vintage Ham Radio Station in New York. 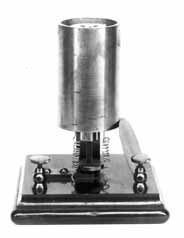 60 EARLY S. H. COUCH HAM RADIO STATION MICROPHONE:(8KB)This early desk-mounted carbon microphone was used in a 1920's vintage Ham Radio Station. The label reads: Made by S. H. Couch Inc., Norfolk Downs, MA. 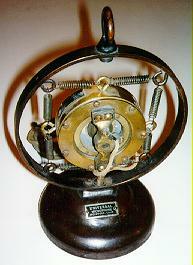 100 ELECTRO-VOICE MODEL 50 MICROPHONE IN UNIVERSAL STAND Circa 1920s. (16KB) This microphone is a combination of an Elecro-Voice Model 50 Carbon Microphone Element mounted in an Universal Desk stand. 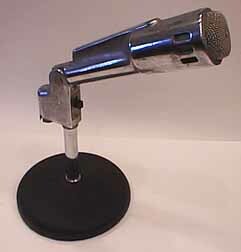 102 UNIVERSAL MODEL BB MICROPHONE:(9KB) This microphone consists of an Universal Model BB double-button carbon microphone mounted in an Universal Desk Stand. 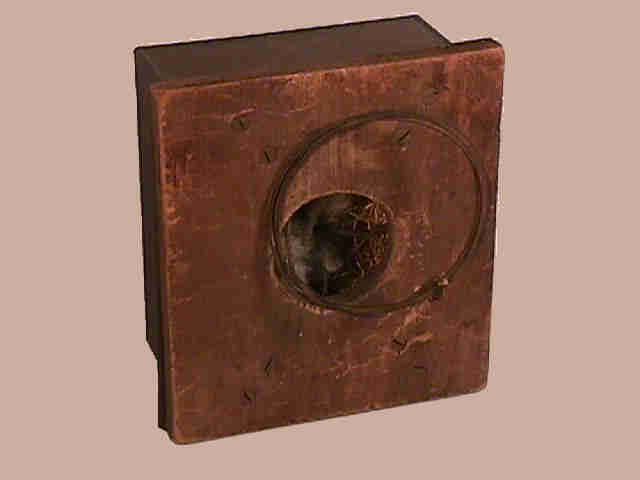 The stand is equipped with covers which can hide the microphone element from view. 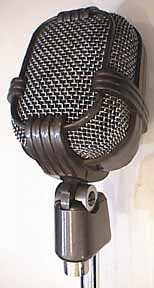 During the early days of broadcasting many singers and performers were terrified by the sight of the microphone and it was often hidden behind a cover like this one or even hidden from view by a piece of silk material draped over the microphone. 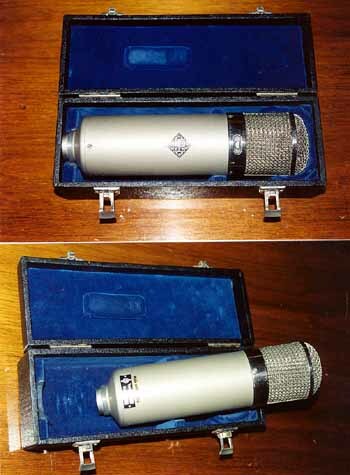 This is the same microphone model which was used in the original ''Wizard of Oz'' movie. 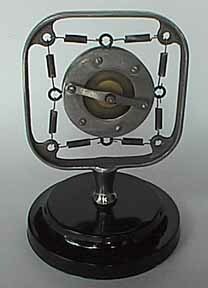 120 UNIVERSAL CARBON MICROPHONE Circa 1920s. 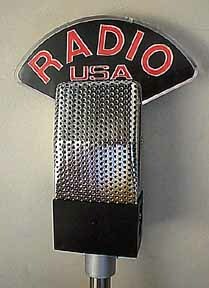 (14KB) The labels on the base and element read: Universal Microphone. 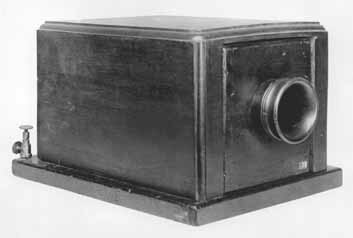 Inglewood, Calif.
130 CONTINENTAL CARBON MICROPHONE Circa 1920's. 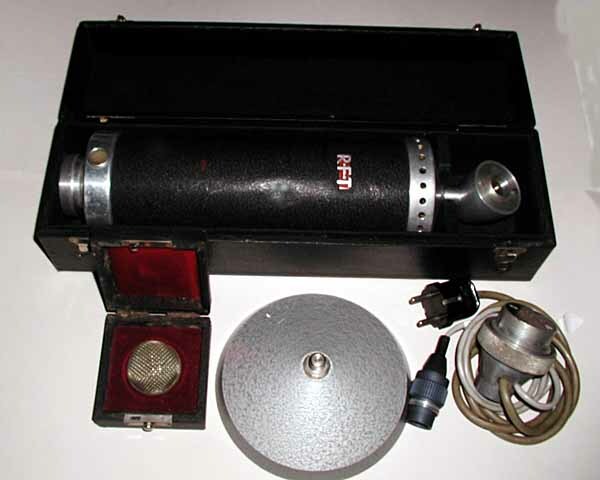 (11KB)This Continental Microphone carries a label which reads: Continental Microphone, Inglewood, California. 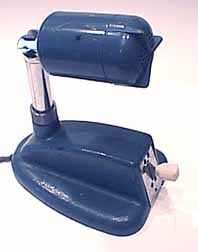 410 GLOBE DESK MICROPHONE:(10KB) This is an inexpensively made desk microphone similar to the Philmore Dyna-Mic shown above. 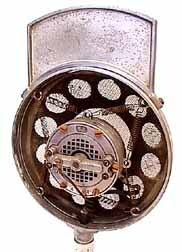 On the back of the microphone, it is labeled: GLOBE TROTTER, Cleveland, Ohio. 560 ELECTRO-VOICE MODEL 726 CARDYNE 1 MICROPHONE:(9KB)The label reads: Electro Voice CARDYNE 1 Model 726. B-4059. Buchanan, Michigan. 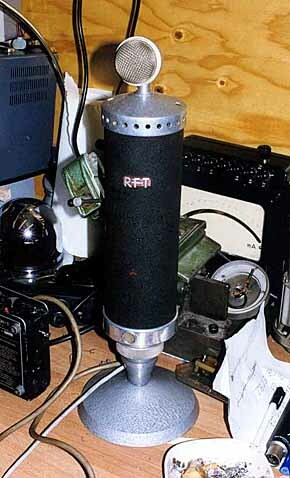 630 RCA MODEL 74 (44-Junior) PROTOTYPE:(7KB) This is an early version of the Model 74 Ribbon Velocity Microphone which is also known as the Model 44-Junior since it looks like a miniature version of the Model 44. 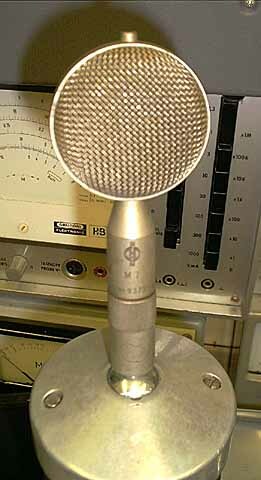 635 RCA MODEL 74 (44-Junior) MICROPHONE:(9KB) This microphone was widely used in recording and PA applications. 900 UNUSUAL AMPERITE RBHG RIBBON VELOCITY MICROPHONE:(8KB)This is a very unusual Amperite model. 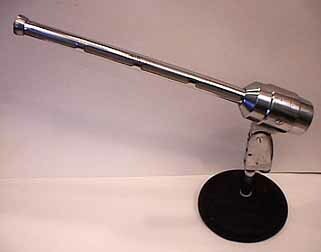 1550 WESTERN ELECTRIC MODEL 633a ''Salt Shaker'' MICROPHONE ON CANADIAN DISPATCHER'S DESK STAND: (10KB)This is the classic and widely used Western Electric Model 633 Dynamic Microphone which is nicknamed the ''salt shaker'' as a result of its shape. 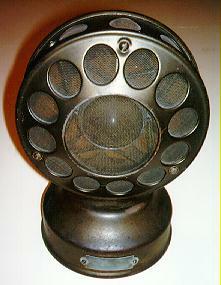 It is marked Western Electric Canada 633a. It is mounted on a matching desk stand as used by police radio dispatchers which is marked: Marsland Engineering Limited, Made in Canada. 2050 UNUSUAL 'WARDS' MOBILE MICROPHONE AMPLIFIER. Circa 1940s. (38KB) I photographed this unusual mobile microphone amplifier at a hamfest in Pennsylvania. It uses a pair of dynamotor converters to change the 6 volts DC input to the 300 volts needed by the 6L6 power amplifier tubes. 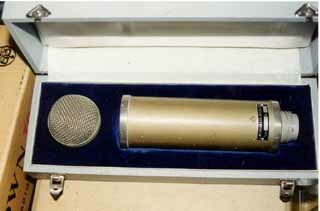 9300 RFT Microphone by Neumann:(25KB) This is a hard to find German condenser microphone with three tubes and a Neumann element. The connector and the base are particularly difficult to find as aret the original boxes shown below. 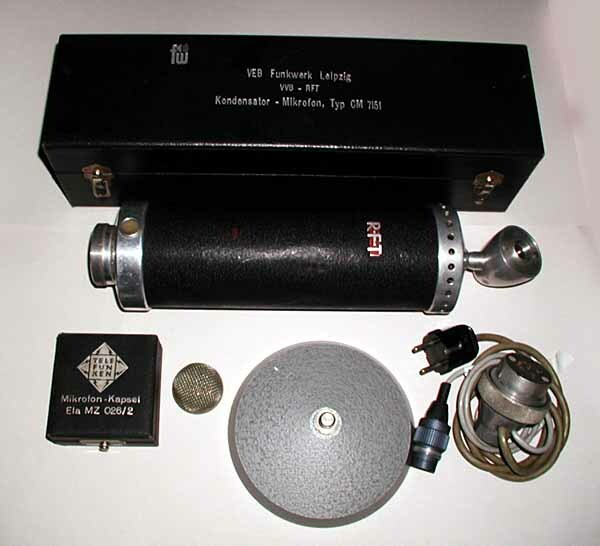 9310 RFT Microphone by Neumann:(19KB) This is a hard to find German condenser microphone with three tubes and a Neumann M7 element. 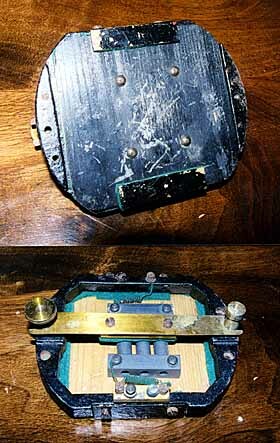 The connector and the base are particularly difficult to find as are the original boxes shown below. 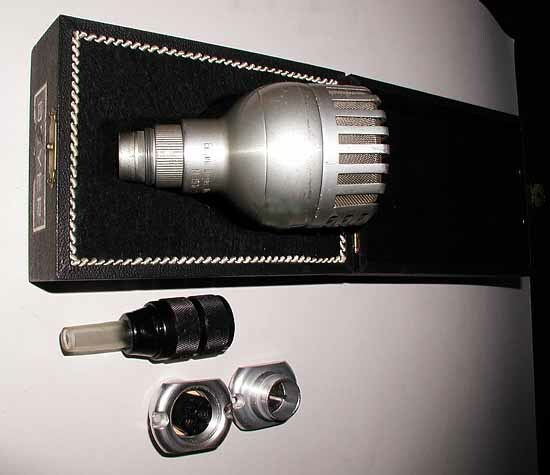 9500 NEUMANN U-47 CONDENSER MICROPHONE:(42KB)This is a very popular microphone and at least one current singer has a pair of them which she uses for all her recording sessions. 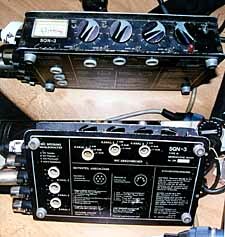 The microphone is shown with its power supply and cable. 9505 NEUMANN U-47 CONDENSER MICROPHONE:(28KB)This is another Neumann U-47 condenser microphone similar to the one above. 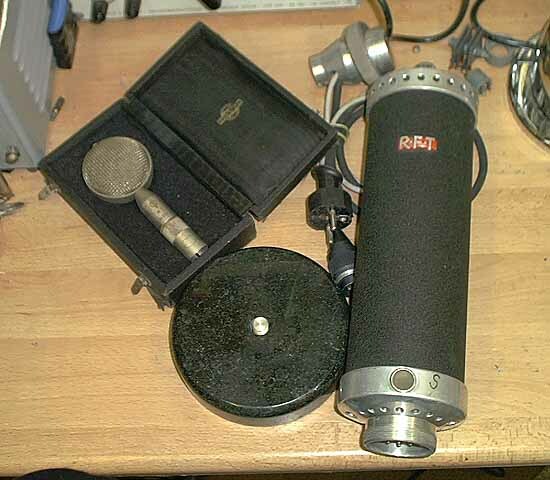 9550 NEUMANN CONDENSER MICROPHONE:(12KB) This is another fine Neumann condenser microphone. 9600 BEYER M 19B. 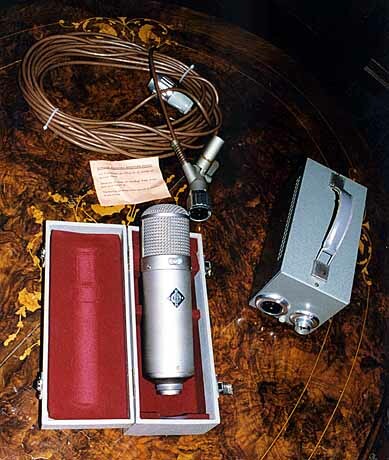 number 75 DYNAMIC MICROPHONE:(26KB)This high quality dynamic microphone was made by Beyer in Berlin. 9610 BEYER M 19B. 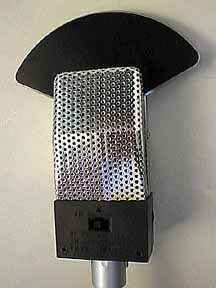 NUMBER 27 DYNAMIC MICROPHONE:(28KB)This high quality dynamic microphone was made by Beyer in Berlin. 9680 HIGH QUALITY BRITISH MINIATURE BROADCAST MIXER FOR USE WITH NEUMANN MICROPHONES:(25KB)This is a very high quality mixer used for field recordings with Neumann condenser microphones. 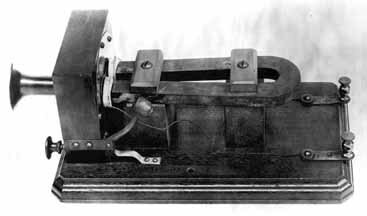 It is called the 'SQN' (Sine Qua Non) and manufactured by a company on the Isle of Man in the United Kingdom. It is widely used as an ENG television audio mixer. 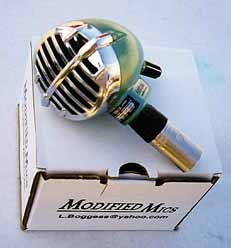 Mr. Boggess modifies classic "bullet" microphones for use by harmonica players. He mounts a gain control and a Cannon plug directly on the classic microphone, making it ideal for hand-held use by harmonica players. He also repairs microphones. 9850 NOVELTY TRANSISTORIZED RADIO - MICROPHONE:(8KB) This microphone is a copy of the RCA model 74 which is also called the Model 44 Junior. 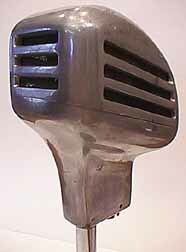 It is actually not a microphone at all but a transistorized AM-FM radio. When the radio is turned on, the sign on top of the microphone lights up. 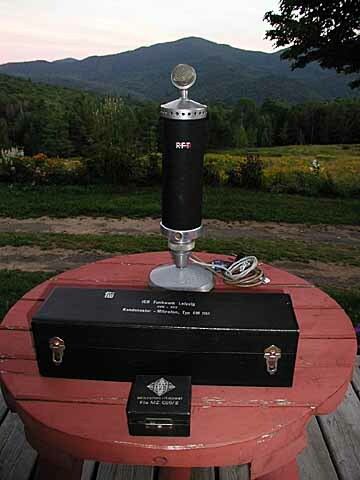 9950 THE "NBC" RCA 4 A-1 MICROPHONE THAT GOT AWAY:(47KB) I found this early NBC broadcast microphone in a box in a garage. The bidding went much too high for me to be able to buy it but the picture is nice to look at. Paquette, Bob. (1989). 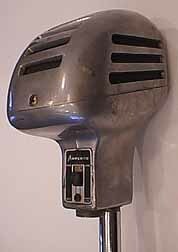 Early Microphone History. In The AWA Review. The Antique Wireless Association, Holcomb, NY 14469. Paquette, Bob. (1999). 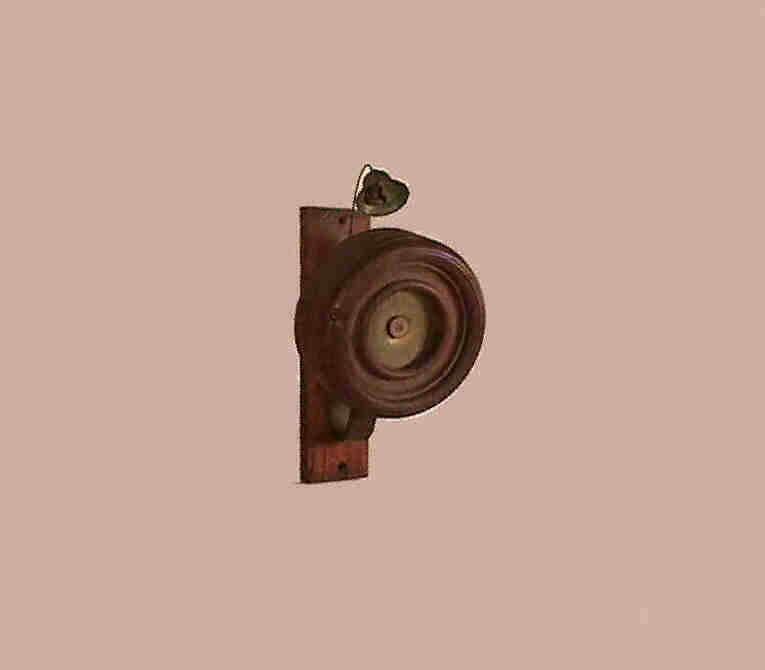 The History of the Microphone. (PLEASE NOTE: I have not checked out any of these links. They are simply offered for your possible use. NOTE: More microphones will be added as soon as possible.